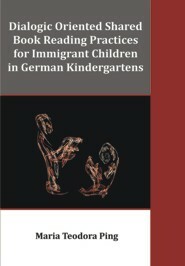 This study aimed at getting an insight to the practices of dialogic oriented shared book reading, as one potential language promotion activity for children with migration backgrounds in German kindergartens. Shared book reading in Germany itself has been one common daily activity in kindergartens, yet it has unfortunately not been so much of a specific research focus to be explored. One of the notable studies to refer to when discussing shared book reading in the German context is the study conducted by Wieler (1997). On the other hand, there are a number of internationally recognized studies in the field of early childhood education which already indicated that book reading influenced the outcome measures in preschool children’s language growth, emergent literacy and reading achievement (cf. Bus et al, 1995; Hargrave and Sénéchal, 2000; De Temple & Snow, 2003). Therefore, the theoretical framework under which this study was conducted was built under the claims resulted in these previous studies. The participants of this case study were five native German speaking early childhood educators (Erzieherinnen) and five groups of kindergarten children ages 3- 6 years old who were acquiring German as a second language. The educators were given a specific picture book and generally instructed to perform “dialogic oriented book reading”. The reading sessions were videotaped with the consent of the kindergartens and the parents of the participating children. The obtained videotaped data were transcribed by native German speakers and then further analysed by using a qualitative content analysis method. The analysis process in this study was conducted to find: 1) An overview of the observed shared book reading practices; 2) Forms of interactions during the observed shared book reading, and 3) Educator’s strategies and children’s behaviours during the interactions. The instruments for the data analysis were two sets of coding schemes (for categorising and analysing educator’s strategies and children’s behaviours) which were developed by adapting the coding scheme and evaluation framework previously developed by DeBruin-Parecki (1999), Reese et al (2003) and Dickinson et al (2003). The reliability of the developed coding schemes in this study was tested by using Cohen’s Kappa for measuring intercoder reliability. 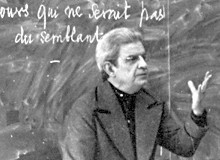 For educators’ strategies categories, the computed Cohen Kappa’s value was 0.773, which could be interpreted as reaching a “substantial agreement”. While, for children’s behaviours coding categories, the Cohen Kappa’s value was 0.793 that indicated as well a substantial agreement. The results of the analysis indicated that the participating educators utilized considerably different reading styles even though receiving the same instructions. Their attempts of practicing the so-called “dialogic book reading” as prescribed by researchers such as Whitehurst (1992) revealed examples of different other reading styles. Some of the features and strategies of dialogic book reading, such as the PEER (Prompt- Expand- Evaluate- Recall) and CROWD (Completion Prompts- Recall Prompts- Open Ended Prompts- Wh Prompts- Distancing Prompts) appeared during the videotaped sessions. However, one most important point particular to dialogic book reading, i.e. the active role of the children to become the story teller, was missing in all observed cases. Furthermore, some educators performed more closely to what was defined as an “interactive book reading”, a reading situation in which an adult reads a book to a child or a small group of children and uses a variety of techniques to engage the children in the text (cf. Trivette & Dunst, 2007).